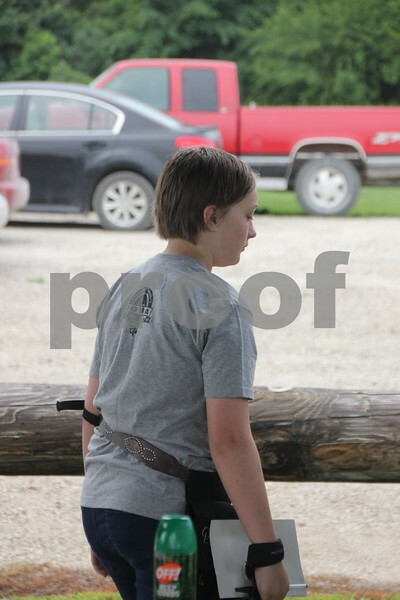 Jacob Nieland practices his marksmanship at the 3-D archery shoot held at Kennedy Park on Saturday, June 13, 2015. The event will continue on Sunday, June 14, 2015 as well. 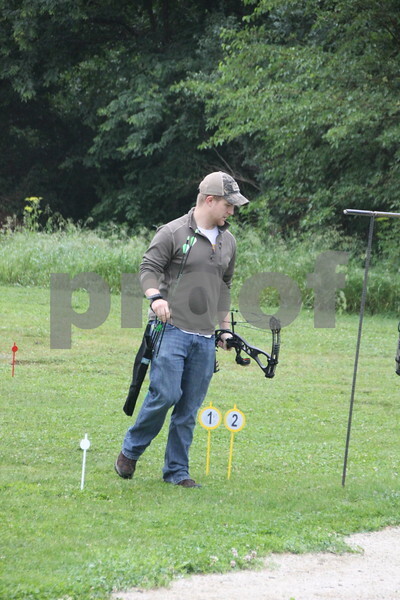 Jacob Asche approaches the spot to take his turn at the 3-D Archery Shoot at Kennedy Park held on Saturday, June 13, 2015. The event will continue on Sunday, June 14, 2015. 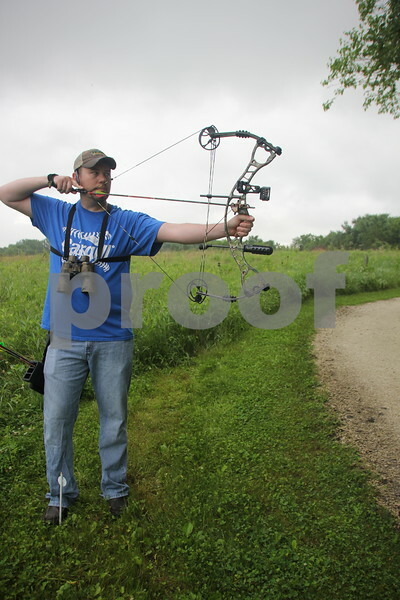 Jeff Waldera pauses after taking a shot at a 3-D target at the 3-D Archery Shoot event held on Saturday, June 13, 2015 at Kennedy Park which goes till Sunday, June 14, 2015. 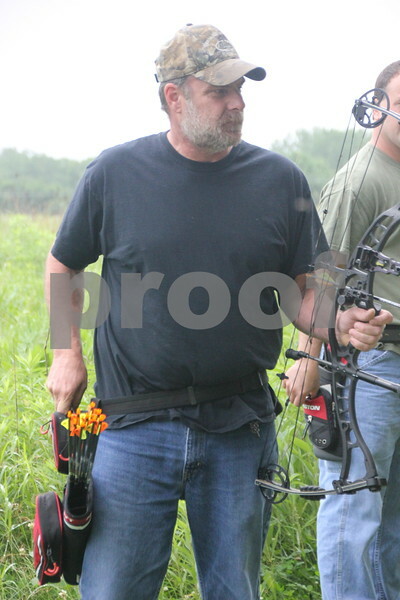 Taking aim is Steve McNeil as he participates in the 3-D Archery Shoot held at Kennedy Park on Saturday, June 13, 2015. Sunday, June 14, 2015 will be the last day of this event this go round. 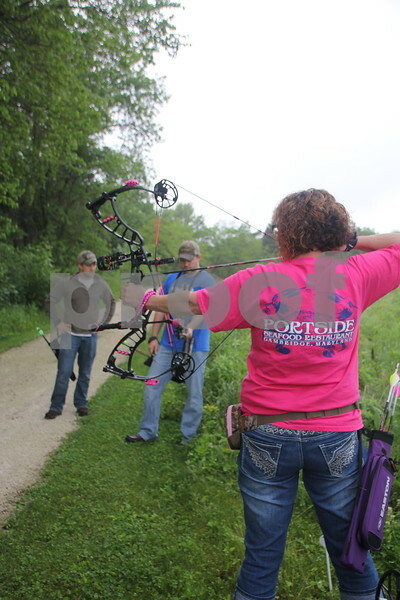 The 3-D Archery Shoot was held on Saturday, June 13, 2015 at Kennedy Park and will finish up on Sunday, June 14,2015. 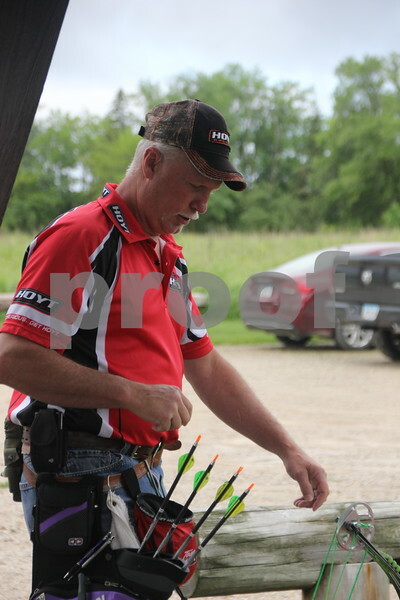 Steve McNeil records his score after shooting at the target at one of many stations set up at this event. 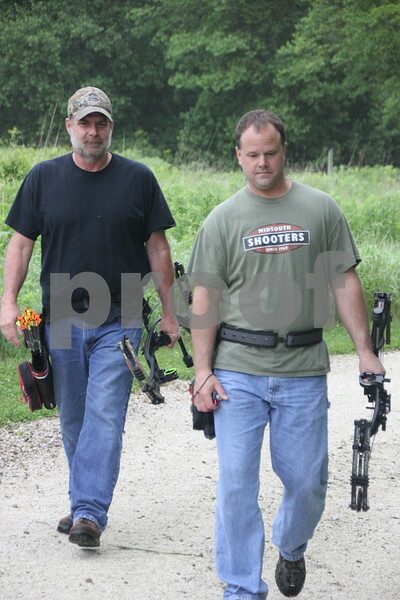 Right to Left is : Jacob Asche (shooting) and Dave Schott who were some of the participants in the 3-D Archery Shoot that took place at Kennedy Park on Saturday, June 13, 2015. The event will end on Sunday, June 14, 2015. 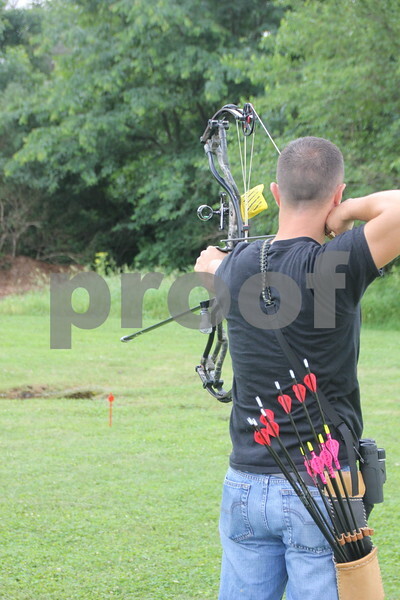 The 3-D Archery Shoot took place at Kennedy Park on Saturday, June 13, 2015 and will end on Sunday, June 14, 2015. 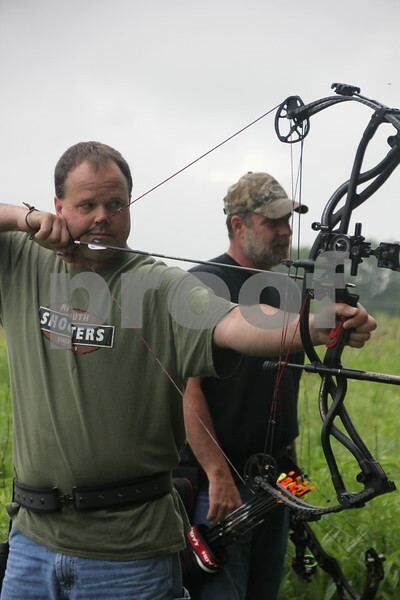 Left to right: Jacob Asche and Dave Schott look on as Tracy Reed takes her shot at one of many 3-D targets set up at the archery event. 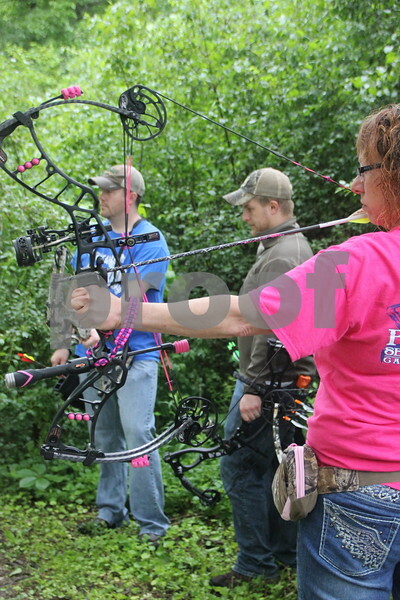 Left to right are : Tracy Reed, Jacob Asche, and Dave Schott who were just some of the participants at the 3-D Archery Shoot on Saturday, June 13, 2015 held at Kennedy Park. The event will end on Sunday, June 14, 2015. 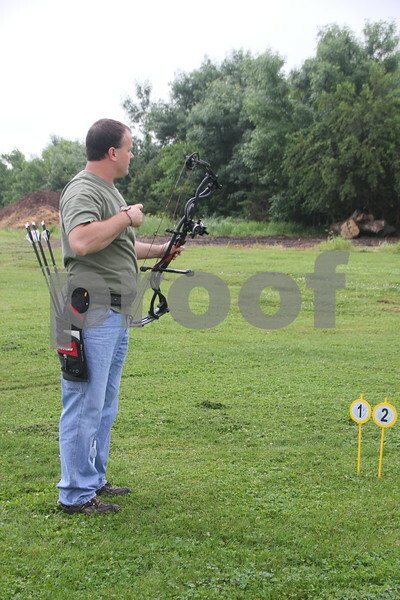 Saturday, June 13, 2015 the 3-D Archery Shoot took place at Kennedy Park and will end on Sunday, June 14, 2015. Dave Schott (left) looks on as Roger Willey is seen taking his shot at one of many target stations set up for this event . 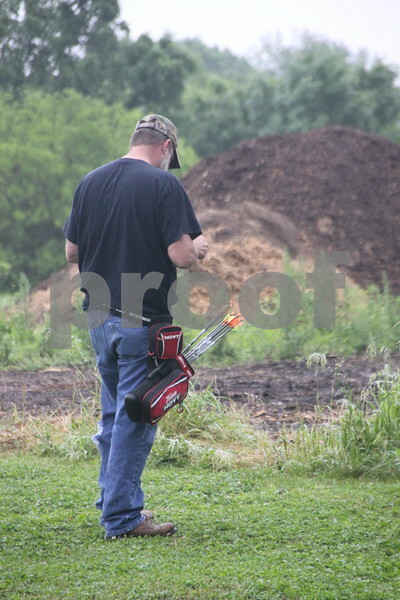 Dave Schott concentrates in preparation to take a shot at the target at one of stations at the 3-D Archery Shoot on Saturday, June 13, 2015 held at Kennedy Park. Sunday, June 14, 2015 will be the events last day this go round. 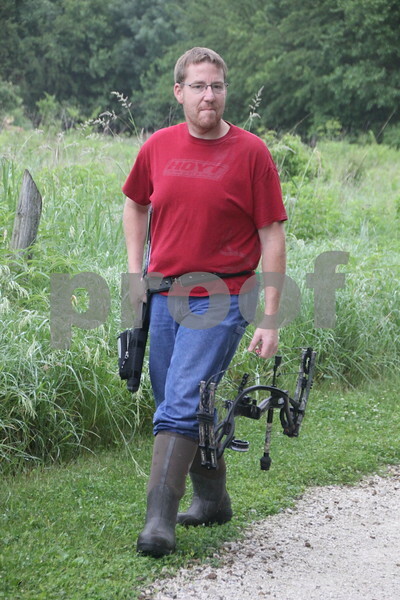 Josh Filmer heads to the next station at the 3-D Archery Shoot held on Saturday, June 13, 2015, which ends on Sunday, June 14, 2015. Th event took place at Kennedy Park. 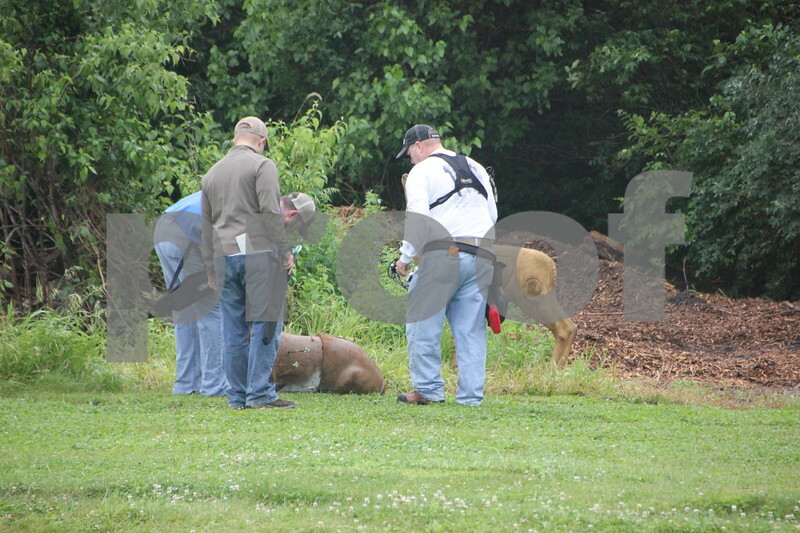 On their way to the next target station at Kennedy Park is (left to right): Steve McNeil and Jeff Waldera. 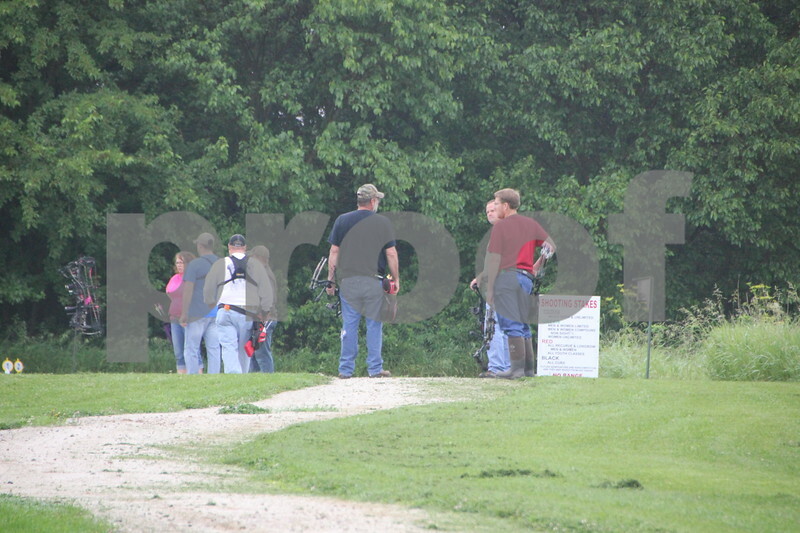 They are participants in the 3-D Archery Shoot that took place at Kennedy Park on Saturday, June 13, 2015. It ends on Sunday, June 14, 2015. 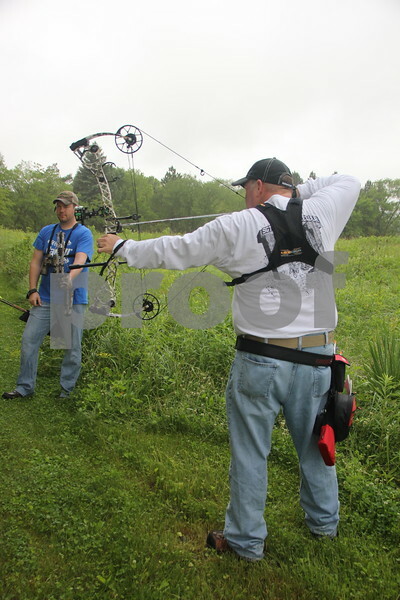 Jeff Waldera (left) takes his shot at the 3-D Archery Shoot on Saturday, June 13, 2015 held at Kennedy Park, as Steve McNeil (right) waits for his turn. The event ends Sunday, June 14, 2015. Seen here is (left to right): Josh Filmer and Jeff Waldera. 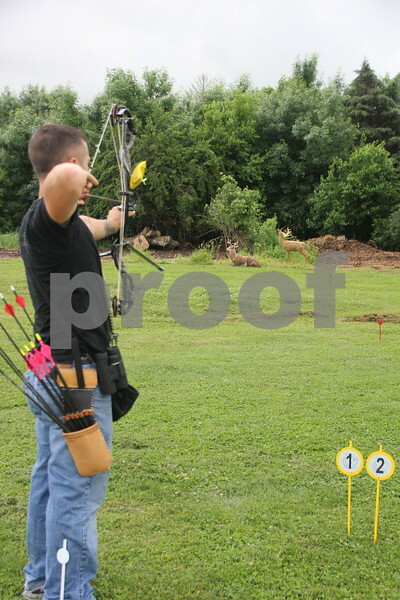 They were taking part in the 3-D Archery Shoot held at Kennedy Park on Saturday, June 13, 2015 which ends Sunday, June 14, 2015. 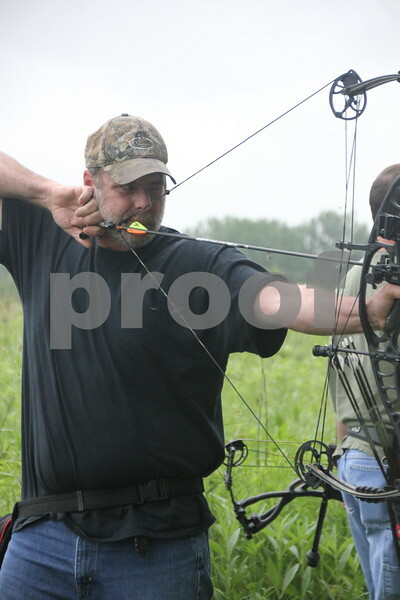 Steve McNeil (left) draws another arrow from the quiver to take another shot at the target. Jeff Waldera (right and seen in the background) awaits his turn. 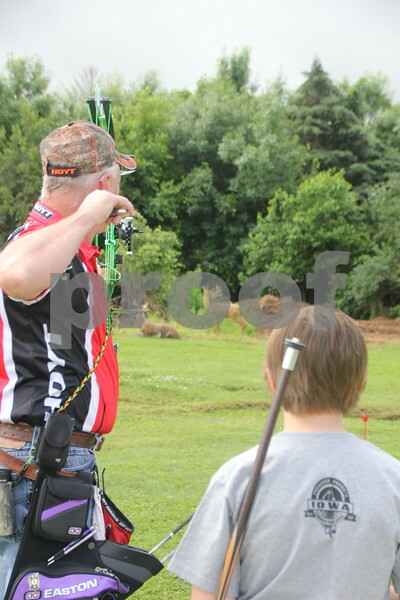 They both took part in the 3-D Archery Shoot on Saturday, June 13, 2015 held at Kennedy Park. The event will end on Sunday, June 14, 2015. 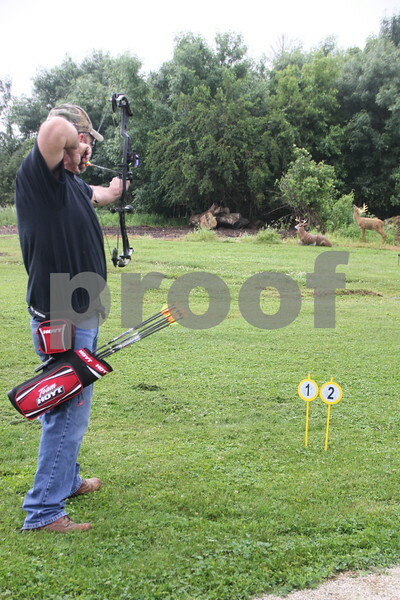 Kennedy Park held a 3-D Archery Shoot on Saturday, June 13, 2015, which will end Sunday, June 14, 2015. Here Steve McNeil concentrates as he takes his shot at the target. 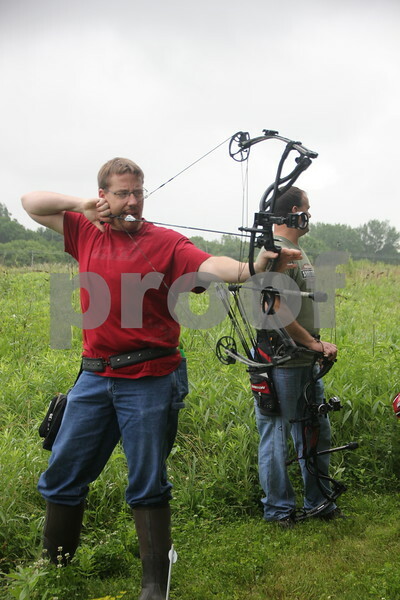 Right to Left are: Tracy Reed (shooting), Jacob Asche, and Dave Schott, participants in the 3-D Archery Shoot that took place at Kennedy Park on Saturday, June 13, 2015 and ends Sunday, June 14, 2015. 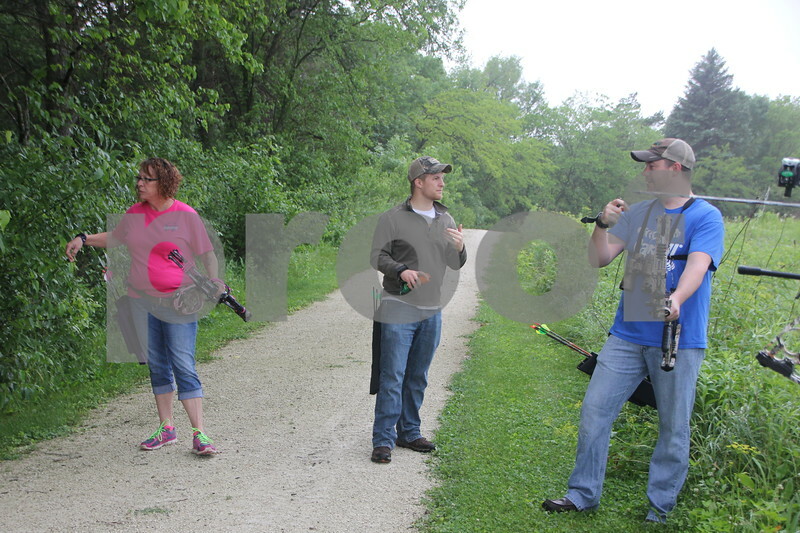 Right to Left are: Tracy Reed, Dave Schott (shooting), Jacob Asche, and Roger Willey. 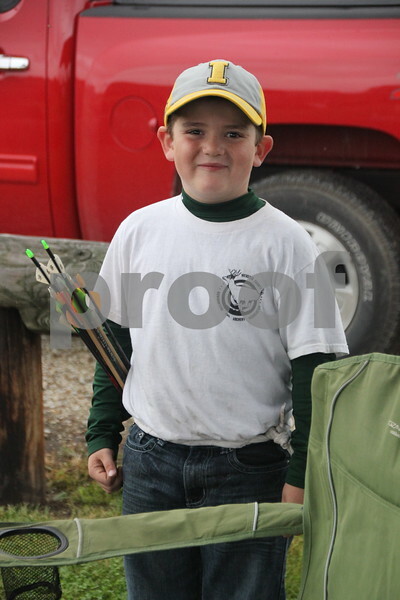 They took part in the 3-D Archery Shoot held on Saturday, June 13, 2015 and ending Sunday, June 14, 2015, at Kennedy Park. 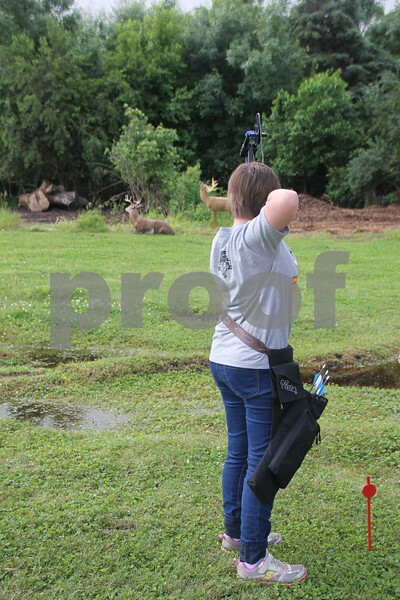 The 3-D Archery Shoot took place at Kennedy Park on Saturday, June 13, 2015 and ends Sunday, June 14, 2015. Here is : Jacob Neiland. 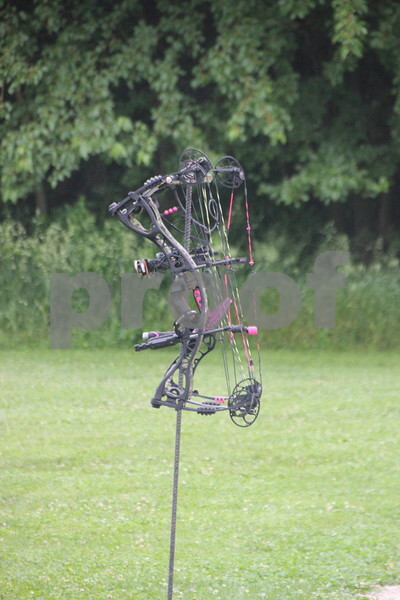 Saturday, June 13, 2015 though Sunday, June 14, 2015 Kennedy Park was the sight of the 3-D Archery Shoot. 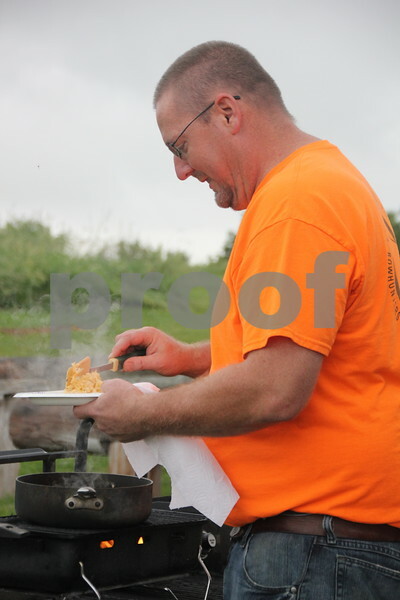 Seen here is : Chad Neiland cooking up some breakfast at the event. 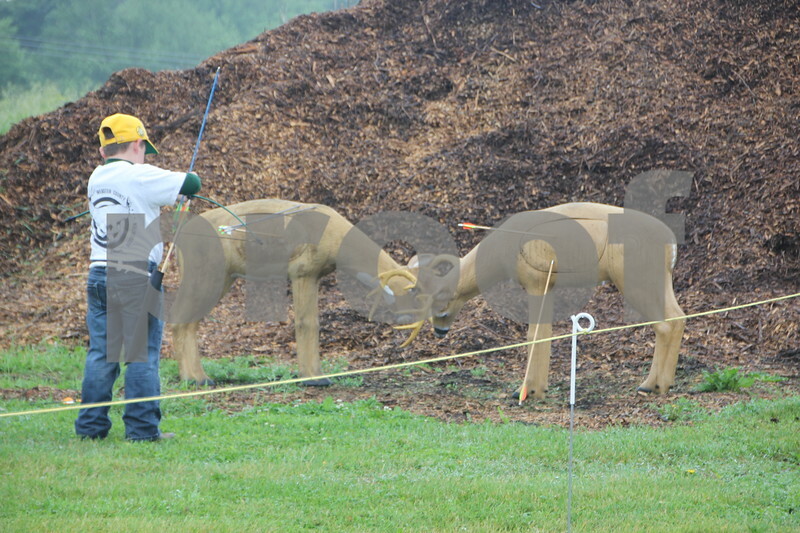 Saturday, June 13, 2015 through Sunday, June 14, 2015 was the sight of the 3-D Archery Shoot at Kennedy Park. 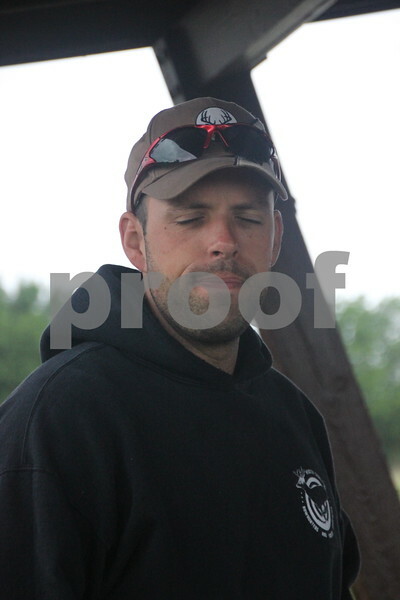 Cody Peterson is seen here and was the person who registered participants in the event upon their arrival. Among one of the youngest participants in Saturday's event at Kennedy Park was 7 year old Tessa Lyon. 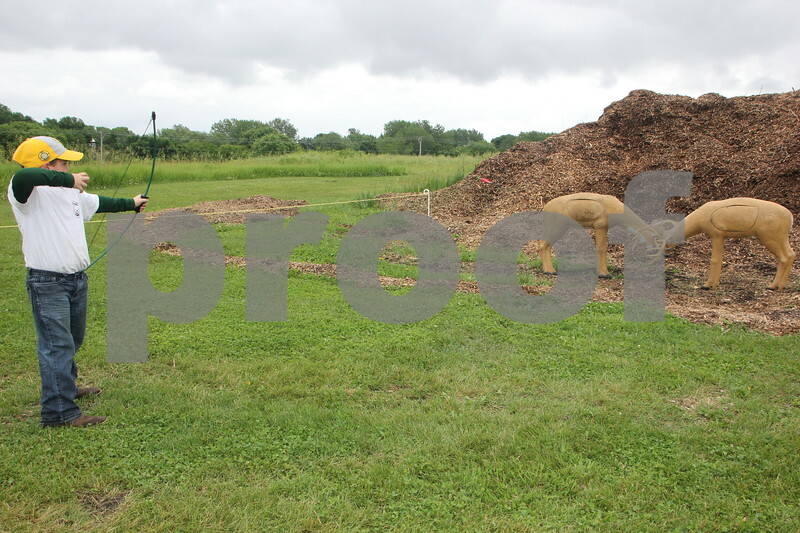 The event was the 3-D Archery Shoot and took place on Saturday, June 13, 2015 through Sunday, June 14, 2015. 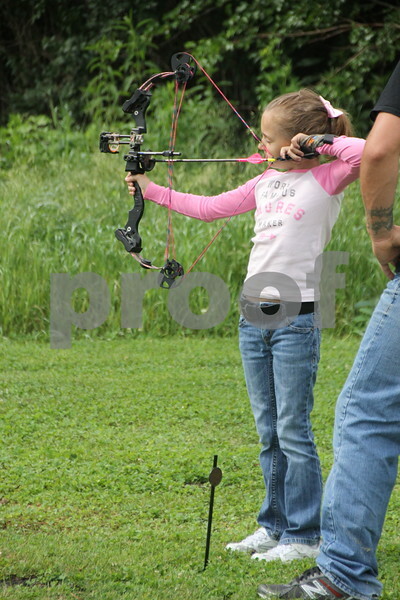 Here Tessa Lyon takes a turn at the 3-D archery Shoot on Saturday, June 13, 2015 held at Kennedy Park. 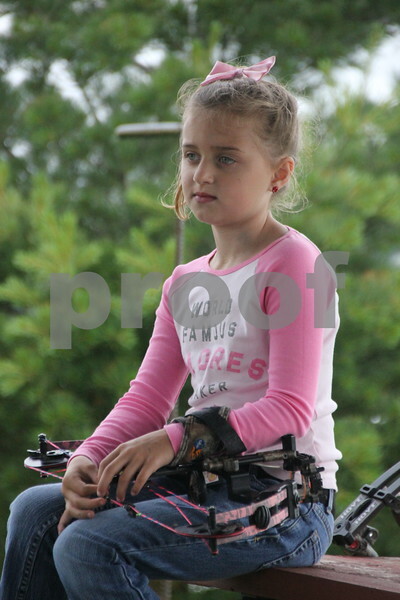 Tessa, 7 years old, is among one of the youngest taking part in the event on Saturday. The event ends Sunday, June 14, 2015. 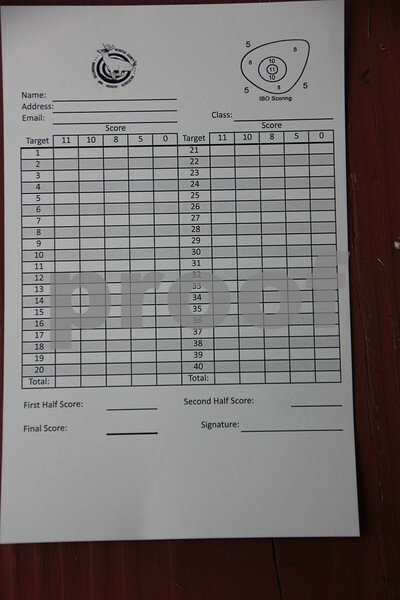 A sample score card for the 3-D Archery Shoot held on Saturday, June 13, 2015 through Sunday, June 14, 2015 is shown here. 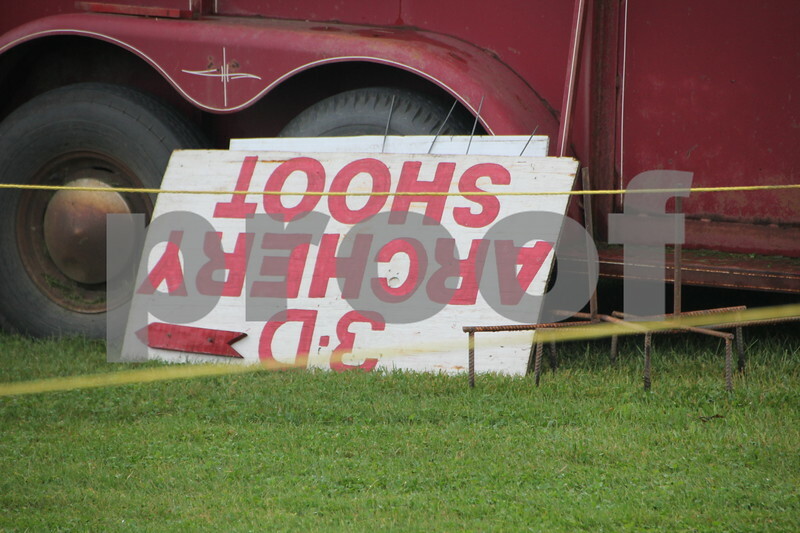 The event took place at Kennedy Park.